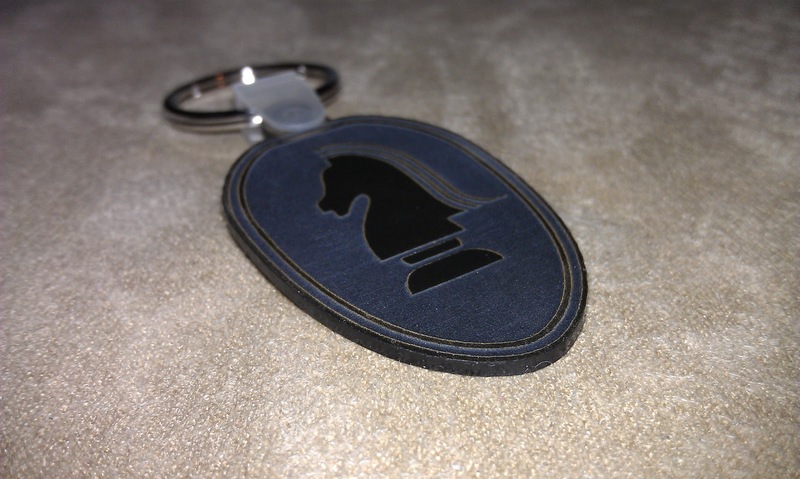 I ordered a couple of key chains from Billy at Knight Designs. 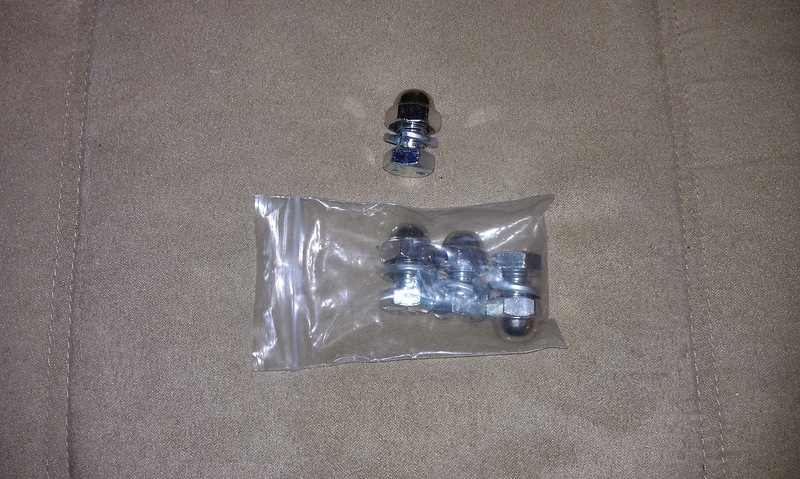 They arrived yesterday along with the hardware for the seat extensions I ordered from him. He decided to start including the mounting hardware with the extensions after I had already purchased a set, so he included a set of the bolts with the key chains. 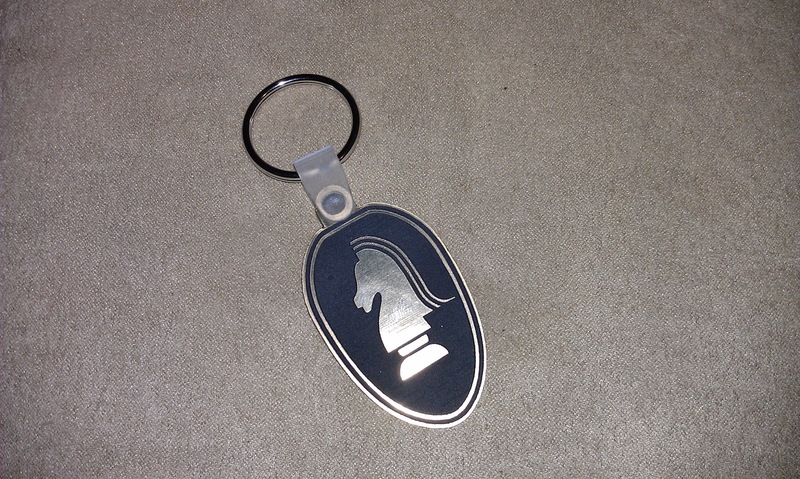 The key chains are plastic with laser engraving. 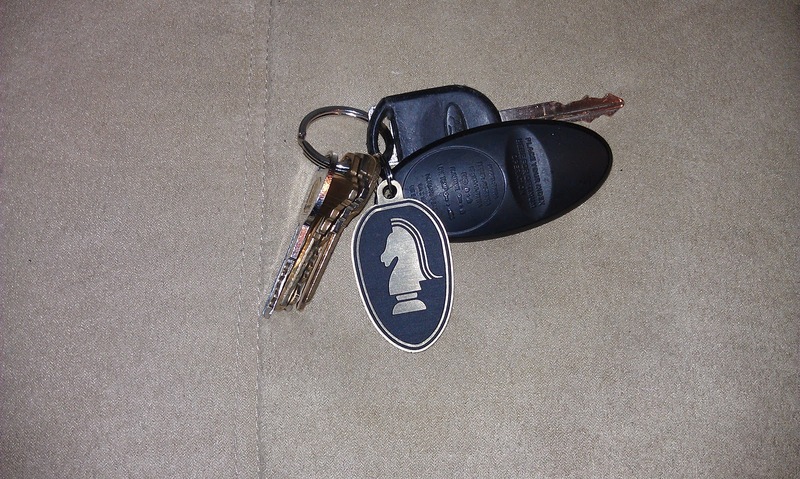 They have a key ring and a plastic mount as seen on many rubber key chains. Here is the front of the key chain. The gold on the key chain is raised. The black is what is etched away. 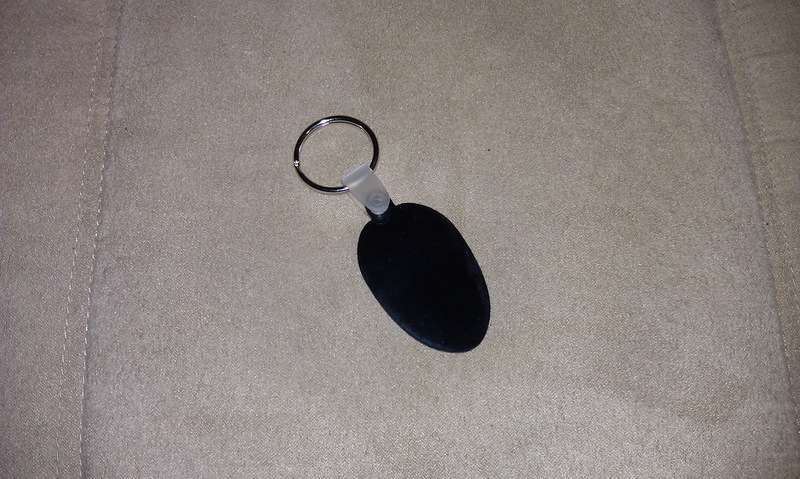 The back of the key chain is black. I did not like the way the key chain laid with the included plastic mount, so I removed it and put it on a small ring like the one my key fob is on. Here is the hardware for the seat extensions.